Many people are surprised to learn the human stomach is supposed to be the size of a human fist. Not just any fist, though. That particular human’s fist. Regardless of age, height, or bone structure, the human stomach is designed to be only as large as the size of a gently closed fist. Ever wonder why a newborn is only able to take in 2 ounces at a time? Gently close up their hand and notice… that is the size of their stomach. They simply cannot hold much volume. Thus, they take in a few ounces at a time and when the body has properly digested and used or stored the calories taken in, the body will signal it’s need for more when its ready. That signal is… hunger. When an infant has taken in more volume than the stomach can hold, the body will expel the excess. It’s simple and it’s logical (and messy). “Are you full?” is a question many parents ask their children before they allow them to leave the dinner table. 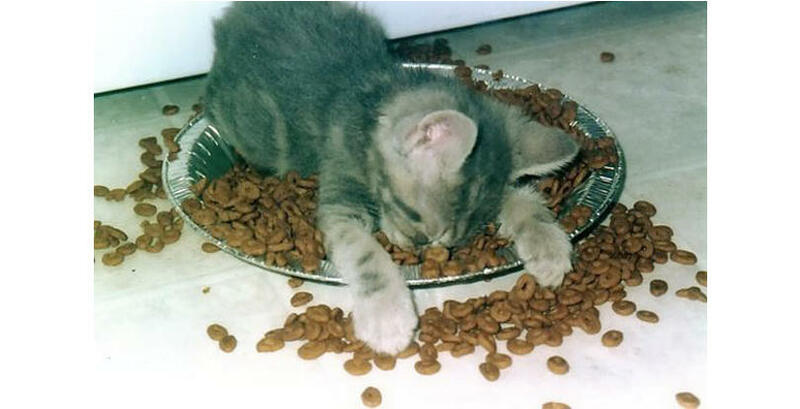 “Finish your food”, is a statement that teaches them to finish a volume of food regardless if they are satiated or not. The parents are unwittingly teaching the children to eat because it is there and they are expected to clean their plate. But what if they are no longer hungry? Why would we encourage them to eat more than they need or want? Why?? From this moment forward, let them leave food on their plate! Next time, give them smaller portions. And if they want another serving later, make it a half serving! And you serve it up for them Don’t rely on their ability to judge proper portions. Let’s talk about… portion size. A dinner plate for a child should be much smaller than that of an adult. So use a smaller plate for children! Control the portions of the food going on that plate and do not be distracted by their cries for more or their wails of how unfair you are to them. If they are still hungry, then can have more later. But when we know the size of their stomach, we also know they are not physically hungry after they have eaten – they are deceived by the visual effects of the portions or the sight and scent of the food. It is much easier to give the children a few extra bites later, than it is to take away food once they have been condition to larger portion sizes. When I see parents giving their children plates of food the same size as their adult dinner plate, I am horrified. We are setting these children up for a lifetime of overeating. I understand some parents become weary of their children have 6-8 mini-meals throughout the day. However, that is exactly how the human body was designed to eat. Only when hungry and only enough to satiate the hunger. Many people do not even know what true hunger signals are anymore because they eat for emotional reasons or because the food is readily available and they are enticed by the sights or smells of the food. If adults ate frequent small meals like little children, there would be happier, healthier people in our culture. I also understand there are also children who have learned the pattern of saying, “I’m finished” at the dinner table (because that food doesn’t excite them) only to cry “I’m hungry” an hour later in order to have a favored snack. That pattern is more about parental manipulation by a bright child and less about their physical hunger and need to eat for fuel. I do not encourage big meals and snacking. I do however encourage small meals and snacking, if the snack standard in the household is limited to fruits and vegetables. When we eat more volume than our stomach can hold, the stomach has to stretch to accommodate the volume. An occasional overeating episode will stretch the stomach and we are temporarily uncomfortable (Thanksgiving Dinner perhaps). However, as the food is digested and moved out of the stomach, the stomach will return to its proper size. This process can be slowed significantly when there is a combination of foods that digest at different rates and in different ways. The slower the process of digesting the food, the longer we are uncomfortable, have heartburn or feel bloated. Chronic overeating (over-stretching) causes the stomach to remain stretched out – similar to over stretched elastic bands. It takes more volume of food to fill a stretched out stomach. More volume means more calories are taken in than the person can utilize thus the body stores the fuel as fat for the famine that never comes. This is the process of gaining weight and it happens fast! For many in our culture, this process leads to obesity, diabetes, and a whole host of illnesses and dis-ease. It’s simple. Eat too much volume for several meals, the body will adapt by stretching the stomach to accommodate the additional volume. Eat too much volume over a period of time and that stretch will not easily bounce back. That adaptability by the stomach can actually become a problem for us humans. It would be much easier if our adult body would expel the excess like an infant instead of stretching to adapt. During an episode of “My 600lb Life”, the gastric surgery showed the size of the person’s stomach. It was larger than a football. Imagine trying to keep up with the volume needed for her to feel “full”. She simply couldn’t eat enough! She ate as much volume in one day that a normal sized stomach would have in a week. After speaking with others who have been morbidly obese and lost weight without bypass surgery, they tell me it takes weeks for the stomach to return to it’s normal size. Weeks of portion control – meaning they returned to eating the volume of their gently closed fist rather than trying to get to “full”. When their body realized they were not starving (no famine here), the body began properly adapting again to their new normal. They lost the excess weight and the discomfort and the chronic health conditions! What about you? 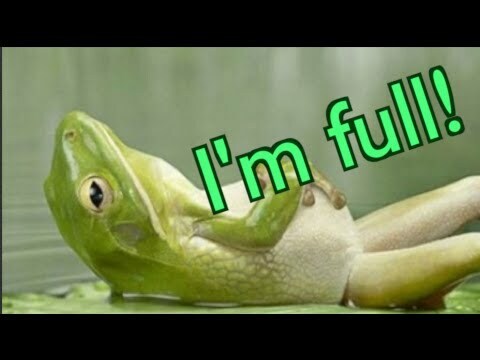 Do you eat to the point of being “full”. Do you encourage family to “fill up”. Can you leave food on your plate? Have you ever tried having smaller meals more frequently? I’d love to hear your experiences.